Want it by Thursday 25th April? Order within 1 day, 22 hours, 49 minutes and choose Royal Mail Tracked 24 Hour at checkout. 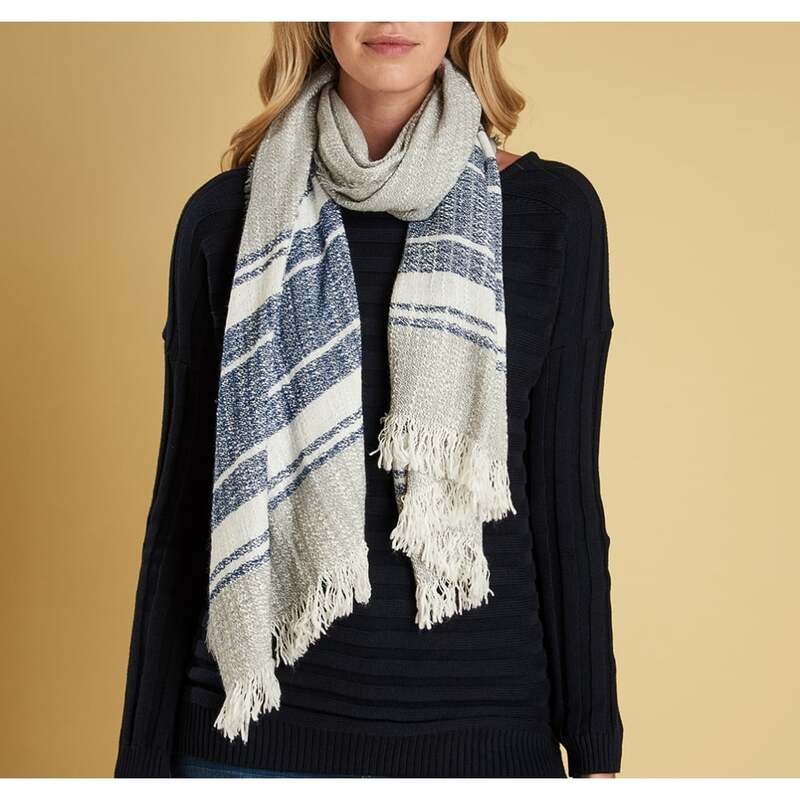 The Barbour Block Stripe Scarf is beautifully crafted to offer a luxury, warm and super-soft feel. Designed in an over-sized style it is produced using a casual slubby knit and features a contrast stripe. Ideal for dressing up your summer outfit on cooler days and pairing up with one of our Barbour wax jackets.